Volume IVA is devoted to progress in optical component research and development. Topics include design of optical fiber for a variety of applications, plus new materials for fiber amplifiers, modulators, optical switches, light wave devices, lasers, and high bit-rate electronics. 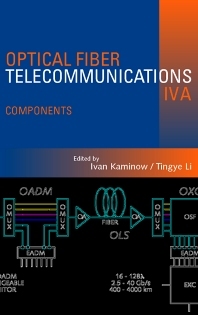 This volume is an excellent companion to Optical Fiber Telecommunications IVB: Systems and Impairments (March 2002, ISBN: 0-12-3951739).